Mention the word Fidelity and the only fund manager whose name you maybe able to recall would be Peter Lynch. But Fidelity is a fund house that is much larger than many would imagine. As on March 31, 2018, it ran as many as 504 funds with total assets under its administration being a humongous 6,854 Billion USD. Fund management is all about timing and Bolton succeeded in quitting right at the top. This question while having no easy answers is also what distinguishes the experts from the amateurs. In a recent interview, Jeff Bezos said that what he is working on is what will be seen 2 to 3 years from now when it comes to financial results. Analyst though are worried about the next quarter. Amazon changing the Retail landscape, Nexflix upturning the Cable Industry, Uber changing the concept of Taxi are things that couldn’t have been easily visualized. But some things never change – and if we can figure out companies that excel in that area, half the work is done. Loves to buy companies that over the medium term can generate cash versus companies that require cash. Hence biased towards Service businesses versus Manufacturing. The one common line between Bolton and Charlisle whose book we previously reviewed is the fact that decisions are taken post meeting with the company’s management. The difference though lies in fact that Charlisle was mostly sure that the company was going down the pipe and the meeting was to seek more evidence – confirmatory or not. In case of Bolton, he looks at both fundamentals and technicals – something one doesn’t see too many fund managers use. Bolton prefers to check the charts of the company for periods of three, five and ten to understand how the stock has been performing. On the fundamental side, he looks at as P/E (price/earnings ratio) price to book, price or EV (enterprise value) to sales and EV to EBITDA (earnings before interest, tax, depreciation and amortisation) for minimum period of ten years though he loves to check for twenty years if possible. Other than this, he reads up on literally every bit of data that is available to better understand the company – from how much of stock insiders own to how much of the stock is shorted to whether there are other marque investors among other smaller details. Bolton being a fund manager has access to the top management while much of the grunt work is done by Analysts employed by the company. But by ensuring that he knows everything there is to know, he ensures that he isn’t misled by narratives when meeting the management. Insider Trading Insight: When an Insider buys a sizeable quantity of shares from the open market after the shares have risen a lot or sells a sizeable quantity in the markets after the shares have already fallen a lot, it conveys important information. Every stock you own should have an investment thesis write Bolton. More importantly he says, you should forget the price you paid for a share, otherwise it can become a psychological barrier if the share price subsequently falls. In other words, by forgetting the price, you are avoiding paying the price of Anchor Bias. The reason for your sale should have very little to do with the price you have bought. Instead, the reason for your sale should be dictated by your Investment reasoning alone. The price itself influences behaviour – falling prices create uncertainty and concern, rising prices create confidence and conviction. The heart of our investment is the portfolio and the stocks that go into the same. Bolton’s ideal portfolio would contain 50 stocks. That would mean an allocation of 2% per stock on an approximate basis providing safety over returns in times of downturns. It’s easy to pick up stocks and build a portfolio, but it’s quite another act to follow up on them regularly. 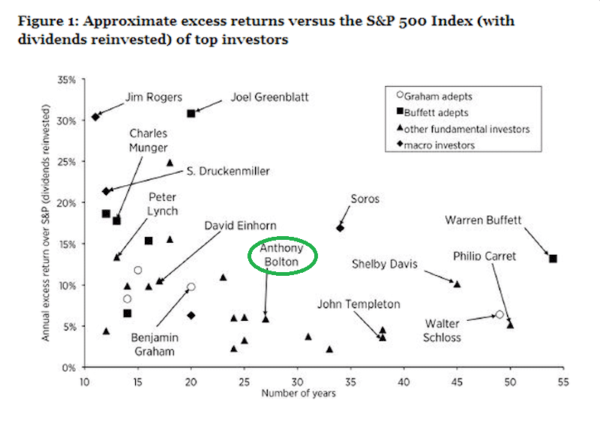 Bolton suggests that one needs to quantify the conviction level of every investment regularly. When to sell a stock is always a tough and tricky question. For Bolton, the reason to sell comes from either the stock negating the investment thesis formed when it was bought or it has met its valuation target or there is something better than this stock which offers more margin of safety. Valuation Anomalies are more likely to be found in medium and small sized companies. Buying when valuations are low against history substantially increases your chance of making money; while buying when they are high increases your risk of loss. This approach has been at the heart of his approach to investment. Valuation Measures the author likes to look at are PE, Enterprise Value / EBITA, Free Cash Flow, Price to Sales or if available EV to Sales and Cash flow return on Investment. The heart of his approach though was to try and buy stocks that had fallen on bad times but were seeing a recovery. Technical Analysis for most fund managers is Voodoo Science at best but for Bolton, the stock chart is one of the first things he wants to take a look at. While we as Momentum Traders and Investors look at the chart to see how the stock has performed, the reason to look at charts for Bolton is to eliminate stocks that have shot up considerably on the belief that much of the growth has been accounted for. I look at the technical situation as a summation of all the fundamental views available on a stock at that particular moment and it can sometimes be a warning signal of problems ahead he says. As much as the first half of the book is exciting to read, the second half kind of drags for there is very little that a small investor can do that Bolton did. We aren’t fund managers & in that sense there are many a restriction on what we can do. The chapter where he lays out the 12 qualities that make a good fund manager is a goldmine in itself. While most of us aren’t fund managers managing external money, we are fund managers for our own money and its worthwhile to understand how fund managers think and operate and how much of that can be replicated by us. Book reviews are supposed to be small and yet, this post is as lengthy as any other. 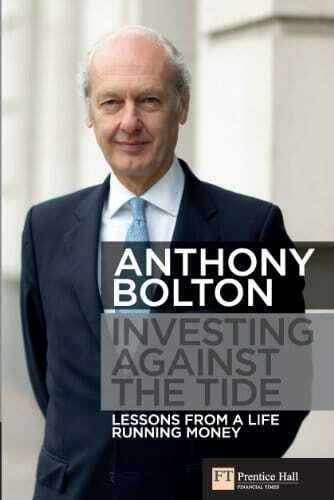 The reason lies not far for there are very few accomplished fund managers as Anthony Bolton and this book is a very good read. His own performance as one can see in the picture below shows why his reputation is so high among those in the Industry. I rate the book 4.5 out of 5.